Thanks to a new standard developed by the Reverse Logistics Association, the world of product labels is changing in an exciting, innovative, and interesting way! The new 12N QR label isn’t just for manufacturers and retailers, although it helps them a lot – it’s for consumers who want a quick way to get answers to their pre- and post-sales questions; rapid, no hassle product registration and support; and, when the time comes, a super-simple, efficient way to get their product repaired, upgraded, or recycled. Eurosoft is working in partnership with the RLA and other partners to establish standards that can benefit and streamline the PC refurbishment and repair process. 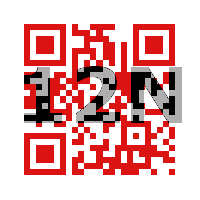 The 12N QR codes look very much like a standard QR code, but can store much more data. In fact, 4000 characters versus only 500. This new data-space prompted the standards initiative. The aim to streamline repetitive data fields, allowing wider industry use to coordinate product service, return and recycle disposition. Through the use of 12N QR codes, as a label affixed to a PC, a unit’s configuration, complete test history, and disposition history can be accessed by operators of refurbishment and repair processes. A key area where the 12N QR approach will add value is in the routing of these logistics. Reducing reporting time is foremost and that requires a simplified method. Once a unit is affixed with a 12N QR code label, think of it as a functioning “digital toe-tag”, the unit or part is then far more trackable. Timely replacements, whether in warranty or not, are traceable from original manufacturing throughout distribution and on to refurbishing. Events tracking from a service or repair, can unite all participants in the process allowing a more refined use of “big data” analysis and reverse logistics processes. All industries are affected by reams of product codes, errors and what-to-do-next scenarios. The introduction of 12N QR code labels will unite computer services and refurbishing reverse logistics. Effectively, standardising incident reporting practices and simplifying error codes, making it easier to manage repair and refurbishing information. 12N QR codes will radically reduce RMA and warranty processing.